Superman’s place in the story is directly related to where Supergirl‘s eighth episode of the season. 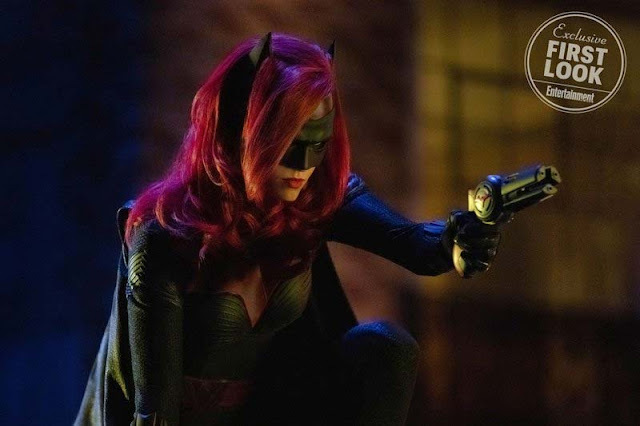 “Kara is coming out of the midseason finale at a crossroads, and the journey that she’s on is kind of helped by Clark, who is returning from Argo kind of on his own journey,” says Rovner, adding that the Supergirl writers pitched using the Smallville farm because “it kind of seemed like the organic place for them to meet” given where the Kryptonians’ heads are at when the crossover begins. That’s a wrap on the crossover. So proud of @JamesBamford — Over 7 years and 4 different shows there has never been a more epic shot than what he pulled off tonight. Honored to be a part of it. 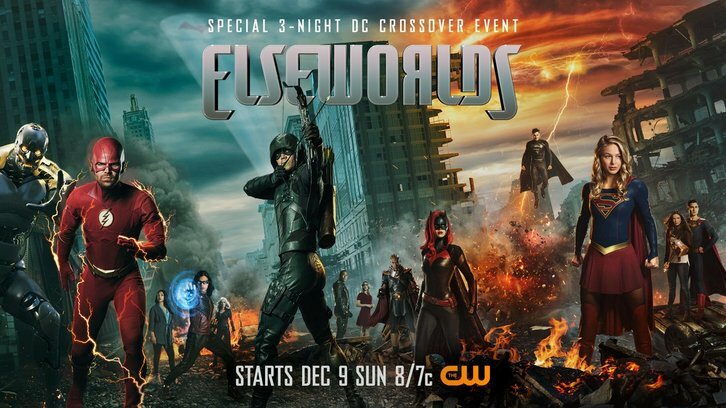 Entertainment Weekly have revealed another addition to the Elseworlds crossover. Bob Frazer (who has also appeared on The 100) will appear as Psycho-Pirate. Psycho-Pirate is a character with a confusing comic book history. All you really need to know about the character is that his gold Medusa Mask gives him the power to manipulate people’s emotions, and, more importantly, he always somehow manages to play an important role in DC’s biggest multiverse stories. That’s a wrap on my Supergirl portion of the crossover. Two more days to go. #Supergirl's Tyler Hoechlin thanks Superman double for letting him rough him up on set. Grant Gustin/Melissa Benoist sliding stop competition or dance-off. Superman showed up to catch a falling Lois Lane. Barry and Oliver have really gone next level friendship wise.